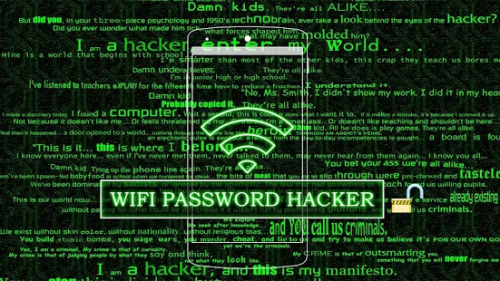 WiFi Password Hacking Software used for the tracking information from the wireless device and freely connect you to the W-network without any restriction. Have you at any point been in a territory where there is WiFi hacker, however, you can get to the web since you don’t have the secret key for the system? It can be extremely baffling to have the web so close, yet up until now and you feel sufficiently disappointed really to make a move. On the off chance that you could some way or another hack the system, it would be felt practically like a Goliath soft embrace. Be that as it may, here is the uplifting news. There is an approach to do only that with Wi-Fi Hacker. This product will disclose to you how to hack a Wireless Router’s secret key rapidly utilizing cmd. It works on tablets, Android Samsung Galaxy, Y gadgets, laptops and Windows PC.What is marvelous is the way that it is effectively achievable by free download. Believe it or not; you can get all the web you need without paying a dime. It is altogether infection free. The product is perfect for all variants of Windows. It has an easy to use interface. It is upheld against WPS assault. How To Use WiFi Hacking Software? Download the .exe file and extract it. After extraction runs the setup file and installs it on your device. Turn on your wireless network card from the setting. Run it from the shortcut file which is located on your main desktop screen. select the network from the list which you want to get.